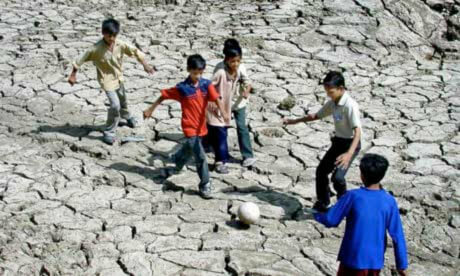 The World is Thirsty Because We are Hungry” is the message of the 2012 World Water Day. It puts in a nutshell one of the key links in the complex nexus of water, food, climate and energy: the crucial relationship between water and the production of our food. The agricultural industry is by far the heaviest consumer, accounting for almost 70% of all fresh water used. In developing countries, agricultural water consumption is as high as 95%. Compare the quantity of water the average person drinks per day, 2 to 4 litres, to that required to grow and produce a single kilogram of cereal: up to 3 tonnes of water. In being produced, the average person’s daily food uses up between 2,000 and 5,000 litres of water. Given how integral water is to agriculture and food production, water is a critical factor in our quest for global food security. Forecasts for the next 20 years suggest that farmers will need to increase food production by 70 to 100% to meet the growing needs and demands of the world. As people’s diets are changing, there will be an even greater call for meat and dairy products, food that requires particularly high water consumption. And herein lies the water challenge. Because research indicates that within that timeframe, we could face a 40% gap between global demand and supply. Considering that we are already using more than 70% of fresh water for agriculture and that by 2030, we face a 70% increase in demand for food, how will we meet our future needs? We need to make significant and radical changes in agricultural water usage. For all these reasons, business as usual is not an option for us. We cannot continue to manage water as we have in the past, particularly in the agricultural sector. Rather, we need to tailor solutions to the specific needs of farmers around the world, thereby working towards the the twin goals of meeting food production and managing water better. The way forward lies in reducing water loss and food wastage; improving the technology we use; implementing policy reforms regarding water availability, rights and pricing; and in facilitating farmer-led changes in behaviour. This herculean task will require collaboration between governments, industries, experts, civil society organizations and farmer associations. In joining forces, stakeholders can create coalitions from a common purpose and vision. The journey towards better water use can also begin locally, by stimulating innovation; creating new infrastructure via which to share knowledge, access to technology and good practices; and piloting approaches that, if successful, can be eventually implemented on a larger scale. The World Economic Forum has a major initiative underway, set to develop an improved fact base on water and a public-private-civil society platform in support of those governments wishing to implement water reform. This initiative is helping stakeholders work together on the topic of agricultural water management. On this World Water Day, the World Economic Forum invites all interested parties to join us. Together, we can raise awareness about the future of water and provide the much needed impetus to transform the agricultural consumption of water, with the goal of ensuring our food and water security for the future. CAPE TOWN – Water and Environmental Affairs Minister Edna Molewa on Thursday said she was determined to ensure South Africa’s water resources were secured for the future by investing in infrastructure. Eyewitness News spoke to the minister about the country’s water resources ahead of her launching a water saving project called “No Drop”. She was interacting with private and government roleplayers at the World Economic Forum on Africa to discuss water security for the continent. Molewa expressed concern too much water was lost due to leaks. In March, the department revealed that billions of rands were needed to plug the country’s ageing and leaking water supply systems. South Africa is a dry country with limited water resources. It has an average annual rainfall of about 464mm, compared to a world average of about 860mm. According to experts, South Africa could face water shortages by 2020. AMMAN – HRH Prince Feisal on Friday directed the Royal Water Commission to update the Kingdom’s national “Water for Life” strategy to address new pressing issues in water management. The new national water strategy will address six new themes: supply and demand; water, energy and food; economy and financing; institutions and legislation; water quality in the natural environment; and trans-boundary and shared water. Prince Feisal, who heads the commission, spoke on this subject on Friday during a private session titled “Collaborative pathways for a water-secure future”, held at the Dead Sea on the sidelines of the World Economic Forum meetings that began yesterday. In his keynote address, Prince Feisal said that all domestic and international stakeholders should collaborate to determine the best way to modernise water management in order to ensure the country’s future growth and prosperity. “Water impacts all pillars of our economy: agricultural production, energy generation, industry and manufacturing. If we are unable to provide sustainable water resources to enable such economic activity, we are essentially limiting the growth potential and associated job prospects and livelihoods of our people,” the Prince pointed out. During the session, experts discussed ways to transform water management in Jordan into a system that promotes job growth and public health, as well as how the looming water crisis might affect economic, social and political life in Jordan. Ministry of Water and Irrigation Secretary General Maysoon Zu’bi said during yesterday’s session that an analysis carried out by the Water Resources Group suggests that Jordan’s economic growth and rising living standards will double water demand by 2030. She said this increase is driven mostly by industry, energy generation, and increases in both population and per capita water consumption. The World Economic Forum Annual Meeting 2012 kicked off yesterday exploring the most pressing challenges that our world faces today. A strong green thread runs across Davos this year, where many discussions are focused on realizing growth in a sustainable manner. Given their importance to economic growth and social development aspirations of countries and societies around the world, water issues are among the most pressing we face and must tackle without delay. Today at Davos, the Water Resources Group (WRG) – a new global partnership on water – emerges as a new model of collaboration to manage water resources for long-term growth and sustainability. True – many noteworthy partnerships already exist in the water sector. WRG aspires to complement and support such initiatives, drawing in new actors to come together in constructive dialogue and develop joint solutions to ensure that water enhances growth, not constrains it. The extensive WRG network of expertise contributes to developing a holistic approach, considering water issues alongside energy, food security and environmental issues for integrated solutions. But what is the value of a good idea if not tested in practice? To date, WRG partners with five governments – Karnataka State of India, Jordan, Mexico, South Africa and Mongolia. Two short years of activity are already yielding results. Insight developed by WRG is being used to shape national water strategies (Mexico’s 2030 Water Agenda and the revision of Jordan’s national water strategy). WRG is also supporting the formation of new stakeholder collaborations (South Africa’s Strategic Water Partners Network and Jordan’s vision to create a National Water Council). An emerging new model that has demonstrated initial success, the WRG has yet many new partnerships to form and lessons to learn. Driven by the spirit of innovation and continuous improvement at its core, reinforced by the support of multistakeholder champions globally, it is an important step towards securing access to water for human and economic development in water-scarce countries. More fundamentally, WRG can prove to be a truly new model for impact-orientated development. Today, WRG moves to a new home at the International Finance Corporation (IFC), on behalf of the World Bank Group. Water expert Anders Berntell has been appointed Executive Director, to take WRG to its next stage and continued success. While much of the focus in Davos is on the macro-economic fault lines that are holding back global growth and job creation and promoting inequality, there is also a green thread addressing sustainability and natural resource issues running through the annual meeting. Indeed, since Davos 2008, the World Economic Forum has sustained a focus on one of the most immediate and pressing natural resource risks to delivering the growth we will need: sustainable access to freshwater. According to the Water Resources Group (WRG), there may be a 40% gap between the required demand for, and the safe available supply of freshwater, by 2030 under business as usual practices. The WRG is a pioneering partnership that the World Economic Forum has been helping to develop with the International Finance Corporation for the past two years. The scheme involves development institutions such as the World Bank Group; bilateral development agencies such as USAID, large water using companies from the food, beverage, construction and mining sectors and expert organisations, NGOs and think tanks. The WRG helps governments of water scarce countries to accelerate their water reform agenda. It does so by bringing together influential people from government, civil society and business with global water experts. The organisation works with these experts to develop water resources analysis in formats that are digestible for politicians and business leaders. For example, the WRG will help governments to see how, for growth to happen and for enough water to be available to meet society’s needs, business as usual water practices in thirsty economic sectors such as agriculture, energy and industry cannot continue. In many cases, agriculture utilises over 70% of the freshwater withdrawals of a country. If food production and energy demands are to increase, then trade-offs must be made to avoid acute water scarcity derailing growth. Adapting to less water under potential climate change scenarios also needs to be factored in. This sort of national analysis often illustrates to a government that there is a difference between the water that is safely available for a country, and the quantity of water it would need to meet its economic growth aspirations by 2030 under business as usual water management approaches. Consequently, a strategy is required to close this gap. An important feature in these strategies is often to manage the connections between water, food and energy. Related to the work of the WRG, the World Economic Forum published a book on the Water-Food-Energy-Nexus in 2011. It is safe to say that the nexus has now become a broadly adopted framework for looking at the interconnected natural resource management challenges of food, energy and water. With government, civil society and business in agreement that an integrated plan is required, cost effective options need to be considered. Key political and economic figures, as well as water specialists, now recognise that a water reform plan is important to both a country’s economic growth and its social and environmental wellbeing. The WRG has provided support to the governments of Mexico, India (the State Government of Karnataka) and Jordan. Substantive and well supported reform programs have been developed and are underway in each location. The multi-sector expertise on offer from the WRG partnership helps the governments to deliver best practice approaches, drawn from NGO projects, research organisations and business solutions. Discussions in Davos will hear from the governments who have been engaged in the work so far. A next stage in the development of this new water partnership will also be launched. The International Finance Corporation, on behalf of the World Bank Group, will host the next stage of development of the WRG. It will become a new global entity aiming to help developing countries who are challenged by water scarcity. Aid agencies and leading global companies are coming together to support it. The ambition is to have the WRG help the governments of eight to 10 developing countries over the next two years, representing a variety of geographies and economic contexts. If successful then this could be a new model for development that can be replicated in other areas. Dead Sea, October 21 (Petra)— His Royal Highness, Prince Feisal bin Al Hussein joined Jordanian and international experts at the World Economic Forum Special Meeting on Economic Growth and Job Creation in the Arab World at the Dead Sea to consider how water management in Jordan can be transformed into a system that will guarantee job growth and health for decades to come. At a private session, entitled “Collaborative Pathways for a Water Secure Future,” experts discussed how the looming water crisis will affect economic, social and political life in Jordan, and how government, business, and civil society can make water use as productive as possible. In his keynote address, His Royal Highness Prince Feisal described the need for all sectors of Jordanian and international society to come together to determine the best way to modernize water management in an effort to ensure meaningful growth and future prosperity of the country. To support such efforts, His Royal Highness announced that he had re-convened the Royal Water Commission to up-date the Kingdom’s national strategy, “Water for Life.” “Water impacts on all pillars of our economies. Agricultural production, energy generation, industry and manufacturing. If we are unable to provide sustainable water resources to enable such economic activity, we are essentially limiting the growth potential and associated job prospects and livelihoods of our people.” Secretary General of the Ministry of Water and Irrigation Maysoon Zoubi noted a collaboration and analysis sponsored by USAID and the Water Resources Group last year, that concluded that the demand for water resources Jordan requires in 2030 will exceed its available supply. To minimize this water “gap”, the analysis identified efficiency and allocation options that would save money for the government and water users while delaying the need for new sources. The WRG analysis also identified water uses that cost the government more money than they contribute to the national economy requiring high level Ministerial debate to address the issues. The WRG collaboration and work has supported the development of existing initiatives and is currently being discussed between the government and key partners to structure and agree on a long term multi-stakeholder programme to take forward the analysis. Brabeck-Letmathe, Chairman of the World Economic Forum-Water Resources Group and Member of the World Economic Forum Foundation Board, committed to form a Mongolian Water Alliance of key government entities, civil society representatives and private sector participants to support the transformation of Mongolia’s water sector. and Office of the President of Mongolia co-organized the Water Secure Future in Mongolia conference in Ikh Tenger, a special complex in Ulaanbaatar, Mongolia, in which over 100 government officials, parliamentarians, civil society and private sector representatives participated to explore ways to safeguard Mongolia’s scarce water resources in the context of its rapid economic growth. The conference debated pressing issues about water use in the mining, agricultural and municipal sectors, sharing case studies of international good practice for boosting water efficiency and ways of safeguarding Mongolia’s water supplies. Conference delegates agreed on the need to coordinate public and private information and activities in Mongolia’s water sector and, for immediate action, involved all stakeholders to deepen the country’s range of economic choices, to identify practical demand and supply options, and to develop a robust implementation plan. In a follow-up meeting, President Elbegdorj and Brabeck-Letmathe committed to form a Mongolian Water Alliance of key government entities, civil society representatives and private sector participants with the Water Resources Group to support the transformation of Mongolia’s water sector. The Mongolian economy is expected to grow by a factor of four in the next two decades, driven particularly by its abundant mineral wealth. Mongolian water experts at the conference noted that it takes about 4 m3 of water to move each 1 m3 of ore and that most of the mineral deposits are found in water scarce areas of the country. for collaboration to mobilize stakeholders from the public and private sectors, civil society, centers of academic expertise and financing institutions to engage in fact-based, analytical approaches and coalition-building initiatives that help governments to catalyse sustainable water sector. The future security of freshwater resources around the world is of increasing concern. Due to our interlinked global economy, water scarcity in many parts of the world could harm the global economy in ways we had not thought of. Shortfalls in crop yields and more variable food prices could be an early impact. Our demand for water is closely linked to economic growth. As we grow wealthier, the more freshwater we require to supply cities, power plants, factories and the production high protein food such as dairy, meat and fish. It is not just a question of more people requiring more water. Rather, it is a case of more wealthy societies demanding much more water. During the 20th century, while population grew by a factor of four, freshwater withdrawals grew by a factor of nine. If we take these past patterns and look forward, the outlook for 2030 is stark. Currently about 70% of the world’s freshwater withdrawals are for agriculture, 16% are for energy and industry and 14% are for domestic purposes. Recent work suggests that unless we change our historic approach to how we use water, we could face a 40% gap by 2030 between global demand and what can sustainably be supplied. Why is this, and what are the implications? To meet the forecast growth in demand for food over the next 20 years, farmers will need to increase production by 70-100%. Changing diets will increase demand for meat and dairy products in particular. A kilogram of meat requires up to 20,000 litres of water to produce (compared to about 1,200 litres to produce a kilo of grain), and global demand for meat is forecast to increase 50% by 2025. Herein lies the water challenge. If we already use over 70% of freshwater withdrawals for agriculture and face an increase in demand for food by 70% by 2030, especially for water-intensive meat and dairy, it is clear that a business-as-usual approach is not an option. We cannot use over 100% of our freshwater for agriculture. Significant, perhaps radical changes in agricultural water usage will be required. Take the US for example. The US Geological Survey estimates that to produce and burn the 1bn tonnes of coal the country uses each year, the mining and utility industries withdraw 55tn to 75tn gallons of water annually. That’s about equal to all the water that pours over Niagara Falls in five months. In other words, about half of all water withdrawals in the US today are used to cool electricity generating stations (It is important to note that this water is not consumed, it is withdrawn from rivers and reservoirs and used for cooling etc, then returned. But access to the freshwater is still vital. No water, no power station). By 2030 the US is forecast to increase its energy demand by 40%. Using current energy systems this could translate into a large increase in freshwater access needs, up to 165% according to some analysis. The maths suggests that, with the demands from other areas such as agriculture, this simply can’t be done. More challenging still, many ‘clean’ energy solutions that the US may wish to pursue to meet its wider environmental obligations, such as carbon capture and storage, shale gas, nuclear power and solar thermal plants, can actually require even more water for their systems than a coal fired power station. Against this water and growth conundrum, General Electric has asked if there will be enough water in the US to power the future. The Economist has written about the end to farming in the California valleys as a result of water shortages and water reallocations. In the future, the US will likely have to depend much more on other country’s agriculture and water, so it can import its orange juice and raisins (and potentially its wine). Even the US Department of Energy recently told Congress that energy production in the US is at the mercy of water availability. This water for food versus water for energy dilemma which the US already faces is similar to that which many fast growing economies will have to tackle very soon. As much of Asia urbanises and industrialises (and is encouraged to pursue lower emission energy choices), more water will have to be directed towards energy and away from agriculture. Some modeling suggests a 76% increase in water demand for energy and industry will be required across Asia by 2030 compared to today. Recall that this will occur at exactly the same time as these countries will also need to almost double their food production. Against a baseline of 70% of water already being used for agriculture, how can these competing challenges be squared off? We can see first responses to the growth challenge of the food-energy-water nexus already being played out around the world as water-scarce, fast growing economies in Asia and the Gulf seek to acquire agricultural land in water-rich countries like equatorial Africa. These so called ‘land grabs’ are really about water. If our global trading regime offered a more effective trade in agricultural goods, there would be much less need for such land/water deals. 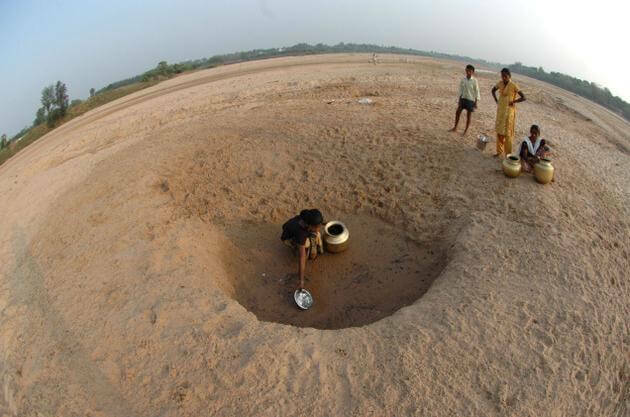 This challenging scenario of water trade-offs over the next two decades should also be set against the context of today’s water management challenges. Unfortunately, the story gets worse. Due to a historical profligacy of water use, the old adage of “You wouldn’t want to be starting from here” holds true. In addition, let’s not forget that a potentially changing climate will simply accelerate freshwater security challenges faced in many places around the world. Unlike options in energy, there are no substitutes or alternatives to water. We will simply have to adapt. This is not just a problem for the very poorest nations. Water security will affect people in Australia, the Balkans, California, China, India, Jordan, Greece, Mexico, North Africa, Pakistan, Saudi Arabia, Spain, South Africa and Turkey among others. Even southern parts of the UK can already be classed as under water stress. The good news is that the next few years hold great potential for a transformation in the world’s water management. Unlike climate change, no-one can argue that the problem does not exist, or that solutions are quickly required. New technologies, new arrangements and new policies will be required. The water services sector, water processing, water recycling technologies and water policy links to the energy and agricultural sectors are fast becoming a busy space for business, financial and professional services firms, policy makers and issue specialists. The World Economic Forum itself has embarked on a major initiative to help develop an improved fact base, and a public-private platform of advisory services to help governments that wish to engage in transformational water reform. This will tackle many of the challenges set out above in real time and in real situations, and I will write more about what we find as it gets under way. Suffice to say the arrival of a space to talk about water and its links to business, governments and growth is very timely. 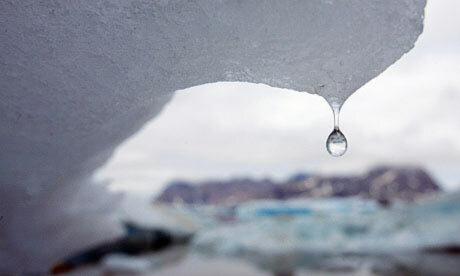 My congratulations go to the Guardian Sustainable Business section for embarking on this exercise. I look forward to a vibrant expert community of bloggers emerging and sharing thoughts and experiences on water, water and business and water and our wider economic growth. *While Dominic Waughray is senior director and head of environmental initiatives at the World Economic Forum, he emphasises that he is writing in a personal capacity. The views expressed here do not necessarily represent either the World Economic Forum or any of its constituent partners.